If you have been charged with an offence relating to drink driving or drug driving, don’t risk your future. You need excellent legal representation from a Manly lawyer who is an expert in the field and who understands how to help. That is where Go To Court Lawyers come in. Drink driving and drug driving offences are treated very seriously by the courts. You could have to pay a significant fine and you may even lose your licence. Our team of drink driving and drug driving lawyers are experienced, professional, and skilled at providing expert legal advice. They know the court system and can help you achieve the best possible result from a bad situation. 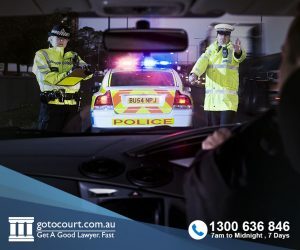 At Go To Court Lawyers Manly, our drink driving and drug driving lawyers are committed to providing you with quality advice and an effective defence. If you need help with a drink or drug driving offence, call Go To Court Lawyers Manly and let us do the work for you.